Board Certified Plastic Surgeon Dr. Orna Fisher provides exceptional, industry-leading cosmetic, reconstructive and corrective Plastic Surgery procedures at The Fisher Center for Aesthetic & Reconstructive Surgery. Dr. Fisher and her exceptionally-skilled, highly-trained and friendly staff are personally dedicated to providing every patient with extraordinary results, utilizing the most advanced therapy, techniques and facilities available. Conveniently located next to the Spring Valley Hospital, on Rainbow Blvd and Hacienda, on the second floor, The Fisher Center is your ultimate destination for impeccable plastic surgery results. 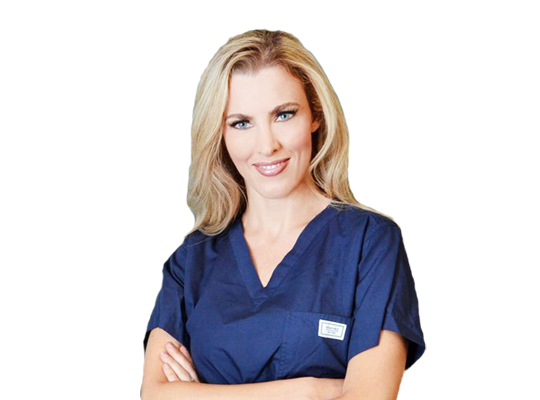 Dr. Orna Fisher is a Las Vegas plastic surgeon recognized for her surgical precision, warm bedside manner and natural ability to connect with her patients. She founded The Fisher Center for Aesthetic & Reconstructive Surgery in order to provide the absolute highest quality, professional cosmetic surgical and non-surgical procedures. Dr. Fisher is passionate about providing every patient with the aesthetically-pleasing bodies they have always desired and deserve. Dr. Fisher attended medical school at the prestigious University of Southern California Keck School of Medicine, in Los Angeles, CA. After earning her MD degree, Dr. Fisher furthered her many years of surgical training with more years of training by sub-specializing in Plastic and Reconstructive Surgery. At Oregon Health & Science University in Portland, OR, she had the distinct privilege to be mentored by internationally-renowned Plastic Surgeons. Dr. Fisher has consistently been recognized for her academic excellence, and has received several awards and published peer-reviewed publications. She has undergone the most up-to-date training available in order to offer her patients an array of diverse plastic surgery procedures, as well as non-surgical options. She continues to make education a priority in order to remain abreast of the industryâ€™s latest advancements. Outstandingly performed Plastic Surgical procedures include: Clear + Brilliant â„¢ Laser Facial Rejuvenation, Eye & Brow Lift, Rhinoplasty, Ear Reshaping, Chin Augmentation, Lip Augmentation, Mommy Makeovers, Breast Augmentation, lift, revision and reduction, Abdominoplasty (Tummy Tuck), Post Massive Weight Loss Body Contouring, Liposuction, Gynecomastia (Breast Reduction) for men, Brachioplasty (Arm Lift), Advanced Skin Care Regiments, non-surgical dermal fillers and other procedures. To learn more about The Fisher Center Aesthetic and Reconstructive Surgery and Dr. Orna Fisher, visit www.drfisherlasvegas.com or call (707) 362-5960 to schedule a consultation today. Are you a patient of Dr. Orna Fisher? Login to your Who Is Who account and share your experience with Dr. Orna Fisher. It takes seconds to register. Start your FREE account today and share your expereince with Dr. Orna Fisher.